Lulu Titlescorer – Useful for picking a catchy title, although don’t put too much faith in it. Your title might very well be amazing. But it’s useful if you’re torn between multiple titles that you like equally. Write or Die – If you need something to kick your patooty into speed-writing, no-stops mode, this is a good tool. EditMinion – Like the spell check feature in Word, this online editing helper can help you find things that weaken your writing, such as adverbs, weak words, and more. I Write Like – It doesn’t have much practical application, but it’s entertaining. Plus, you can make fun of your friends who get Stephenie Meyer. Roots, Prefixes, and Suffixes – It’s just a list. You might find it useful when creating words and place names. Elfwood – (Thanks Caitlin) Here you can find a ton of resources directed toward fantasy writing but beneficial to all. Find help on everything from dialogue to worlbuilding. Seventh Sanctum – (Thanks Caitlin) This site hosts a number of random tools for writers, plus a number of generators if you’re in need of a name with a specific connotation or something such as that. Query Shark – Query Shark is a goldmine of query letter advice. Standard Manuscript Format – Just the basics: what folks in the professional world expect your manuscript to look like in not stated otherwise on their website. Writer Beware – Looking up publishing firms and agencies is tough, and you’re likely to come across vanity publishers. You also might receive emails from unknown firms soliciting you to publish your work. While on rare occasions this is a good thing, generally the company is going to screw you over. If you’re unsure, use this site to check up on the source. Genre Glossary by Jennifer Represents – Created by an agent at Andrea Brown Literary Agency, this link (and the entire blog) is a useful resource. If you don’t know where your book fits, you can use this to clarify your definitions of all your genres. KidLit – This blog was created by Mary Kole, an agent at the Andrea Brown Literary Agency. She creates blog posts highlighting the aspects of query letters that stand out to agents, in addition to offering general writing advice. Query Quagmire – Snark, rants, and the occasional pitch contest? This blog is amazing for advice on querying and how to make sure agents don’t mock you behind your back. Nathan Bransford – His blog is an excellent source of information on querying, the publishing world, and writing in general. 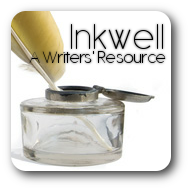 One of Writers’ Digest’s top 101 websites for writers four years running, this blog deserves a follow. The Book Designer – This is good if you want to make a cover for an online community or just want to self-publish something pretty. The Writer’s Mary Sue Test – It’s not guaranteed to be accurate, but it’s a helpful tool for getting a general idea about whether or not you’re writing a Mary Sue or a Gary Stu. Baby Names World – One of the best resources for names. The advanced search feature allows you to search based on origins, meaning, and many other factors to make sure your characters have the most appropriate names. Character Profile by Writers Write – A guide on creating your own character profile, along with a fairly good character profile you can use. Character Profile Form by PompFiction – One of the best character profiles out there. It’s about seventeen pages when double-spaced in Word and takes a while to fill out, but it is absolutely worth it. Character Survey – Another excellent character profile, this one is really detailed and useful for those who like a higher level of organization. Also better for those who like to keep things printed out, as I’m not sure if you can edit the profile once it’s exported. Surname Database – Exactly what it sounds like: a database of surnames. You can learn about a surname’s origins so you don’t give a very German character an English last name, plus find out the name’s meaning. Sun Signs – If you like to account for all possibilities, this can help you create a base personality for your character that lines up with their birthday. Chinese Zodiac and Star Sign Calculator – An easy way of figuring out your character’s star sign and Chinese zodiac. Especially helpful for futuristic stories when you don’t feel like doing the math. Family Tree Maker – It’s free and online. If your story calls for complicated family ties, this might help you keep things organized. The Snowflake Method – A method by which you can plan your novels. Fantasy Worldbuilding Questions – From Science Fiction & Fantasy Writers of America, it’s an excellent resource for creating a fictional society. You can use it for just about any genre, with some adjustments. It’s an excellent way of getting to know the world you’re writing, which leads to better quality work. Future Timeline – This will help you create a more realistic sci-fi that’s still applicable in future years. Plus, it might even inspire new subplots. Critic Bootcamp – While incomplete and in need of updating, it offers some help with improving your critiques and giving you an idea of what to look for in a piece you’re critiquing. Also helpful for writers who need a little help with their own stuff. Page 99 Test – The theory is that potential readers will crack open a book at or around page 99 to see if they like what they see. You upload your page 99, and the community gives you their thoughts on whether or not it interests them. Even successful authors use this. You might even come across some Stephen King (I have). Active vs. Passive Voice – A practical explanation. Also helpful in critiques when you don’t feel like explaining the difference yourself. Story Analyzer – (From Anah) This site is a little like EditMinion, except a little better, with more detail. Figment – For a community, it’s good. The critiques tend to be lacking. However, if you want a lively forum, Figment is acceptable. Heart swaps are somewhat prevalent and a thing respectable writers shouldn’t associate themselves with, as it benefits nobody and turns a respectable site into a popularity contest. ReviewFuse – The forum is somewhat dead presently, and the critiques are of mixed quality, but you’re guaranteed feedback, and it’s a good place to learn to critique because of the critique requirements and format. Plus, you get matched with people whose critiques are of similar quality as yours. Wattpad – One of the largest writing communities, the critiques vary from awful to amazing. The community is bigger, so you’re more likely to make writing friends. Poets & Writers – One of the better writers’ magazine, especially for those also interested in poetry. Writer’s Digest – Probably one of the absolute best writers’ magazines. SFWA – (From Sarah) The official site to the Science Fiction and Fantasy Organization. NaNoWriMo – (From Sarah) The official site of the NaNoWriMo (young person’s edition). NaNoWriMo is National Novel Writing Month. It is held in the month of November. Poets – (From Sarah) The official site of the American Poet’s Academy. “The Academy is a nonprofit organization with a mission to support American poets at all stages of their careers and to foster the appreciation of contemporary poetry.” – From the website’s FAQ. ASJA – (From Sarah) The site of the American Society of Journalists and Authors. Authors Guild – (From Sarah) “The Authors Guild has been the published writer’s advocate for effective copyright, fair contracts, and free expression since 1912.” – From the website. Novelist’s Inc. – (From Sarah) For all those novelists out there. NASW – (From Sarah) National Association of Science Writers. For those interested in science and writing fiction about science (aka Science Fiction).